On Wings of Eagles: Time in Christ's service requires time out for renewal. Have you ever wondered why a pigeon walks so funny? It's so it can see where it's going. A pigeon's eyes can't focus as it moves, so the bird actually has to bring its head to a complete stop between steps in order to refocus. It proceeds clumsily—head forward, stop, head back, stop. 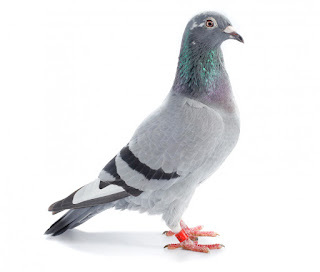 In our spiritual walk with the Lord, we have the same problem as the pigeon: We have a hard time seeing while we're on the go. We need to stop between steps—to pause and refocus on the Word and the will of God. That's not to say we have to pray and meditate about every little decision in life. But certainly our walk with the Lord needs to have built into it a pattern of stops that enable us to see more clearly before moving on. Daniel's practice of praying three times a day was an essential part of his walk with God (Daniel 6:10). He knew there's a certain kind of spiritual refocusing that we can't do without stopping. His stops gave him a very different kind of walk—one that was obvious to those around him. What about us? At the risk of being thought of as different, as Daniel was, let's learn this valuable lesson from the pigeon: "Looking good" isn't nearly as important as "seeing well." Dear Lord, help us not worry about being different but focus instead of keeping our eyes on You. In the Name of Jesus, Amen.